When the heat is on, it’s time to cool off! If you want to just kick back and relax for a few hours away from the oppressive heat of the Las Vegas summer, there are several cool locations you can visit that show Free Movies. On Wednesdays, the Fashion Show Mall has movies at 11:30 a.m. in their Great Hall. They are showing The LEGO Batman Movie on August 2nd and A Dog’s Purpose on August 9th. 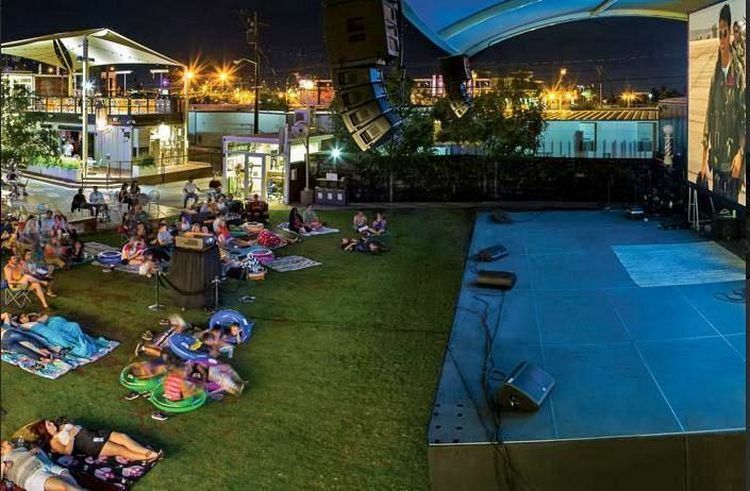 On Thursday’s, you can see free movies at Town Square on the Green, Downtown Summerlin on Park Centre Drive and Downtown Container Park. Each location has their own schedule; however, Moana, The LEGO Batman Movie, Beauty and the Beast, Rock Dog, and others are scheduled at sundown on Thursdays. Occasionally, the M Resort’s DayDream Pool has “dive-in” movies that begin at 8 p.m. Make sure you check their website before you go. There are also $1 movies at 10 a.m. on both Tuesdays and Wednesdays during August at Texas Station, Aliante Casino and Village Square. On Wednesdays, Suncoast and Cinedome have $1 shows at 10 a.m., and Sam’s Town has them at 10:30 a.m.
And, don’t forget, if you are staying at The Cosmopolitan they offer $5 Monday Dive-In movie nights for the public at their Boulevard Pool. It’s free if you are a guest of the hotel. 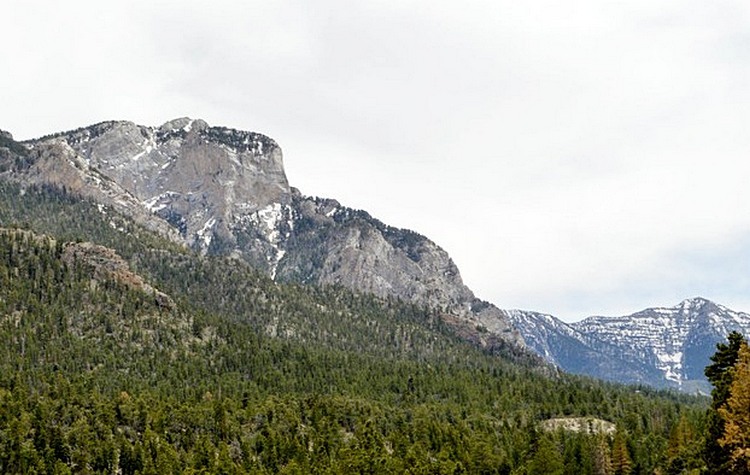 They are showing The Great Outdoors, It’s Complicated, World War Z, and Father of the Bride at 7:30 p.m. with doors open at 7 p.m.
Lee Canyon, at over 8,000 feet elevation, is just about as cool as you can get during the heat of summer in Las Vegas and has many activities for you to enjoy. They have Summer Fun events and are promoting their Archery Experience, which is a 1 hour class, during the month of August, for you to learn the ins and outs of archery, including shooting their archery bows up to 20 yards. They also have their chair rides open, $12 for adults over 12 and $6 for ages 12 and under. Be aware of the weather since they can close the ride at any time. The last available ride is at 5:45 p.m.
CombatCon, sponsored by KA by Cirque du Soleil, is being held August 10th through 13th at The Flamingo. They are titling this event “Where History and Fantasy Meet”. CombatCon combines many realms of martial arts, sci-fi fantasy, cosplay, and piracy. If you immerse yourself in the event, you can handle two-handed swords as was done centuries ago, throw daggers and interact with armored martial artists. The Expo Hall Access is free to the public where you can see demonstrations and handle the armor and swords. Rather than purchasing an event pass covering all days, you can buy individual day passes which will allow you to enter the tournaments, attend the panel meetings with presentations and take 2 martial art classes. Day passes (Explorer/Writer Pass) are $25, $40 and $25 for Friday, Saturday and Sunday, respectively. The event pass for this category is $65 covering all 3 days. 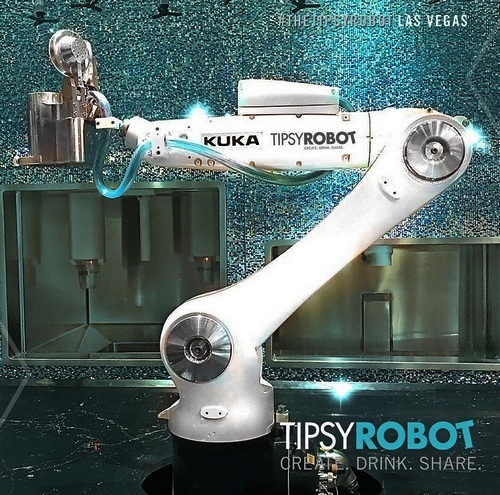 Las Vegas is now home to the galaxy’s first land-based robotic bar. Yes, you read that correctly and yes, Diamond Jack was there to receive a cool and refreshing Gin & Tonic from the robotic bartender. All this took place at the Tipsy Robot in the Miracle Mile Shops at Planet Hollywood. Robots, however, won’t be running the entire operation. Several female “Galactic Ambassadors” complement the robot bartenders, and a real bartender is nearby for special drinks that Tipsy Robot can’t comprehend. Tipsy Robot opens daily at 10 a.m. The heat has arrived and locals, along with tourists who are looking for a water break during their drive through the desert, head to Wet ’n Wild in the southwest part of the city (7055 So. Fort Apache Road near I-215 and Sunset Road). The original Wet ‘n Wild was next to the old Sahara Hotel (now SLS), and you could find Diamond Jack running wild there and scaring people as he slid down Der Stuka, almost losing his swim trunks along the way. 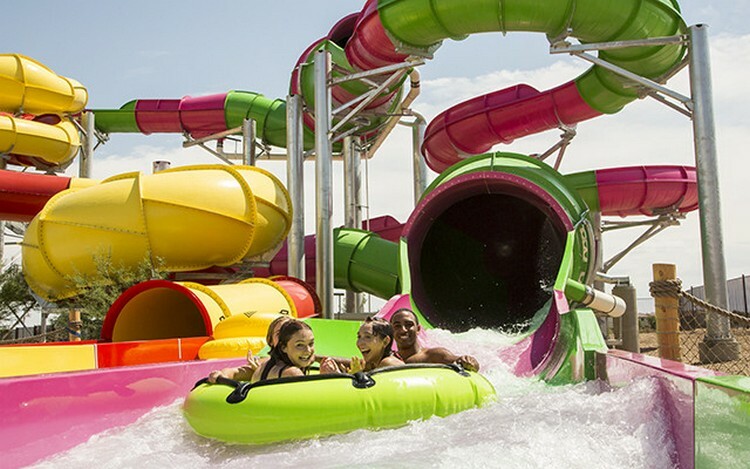 The new, 22-acre Wet ‘n Wild has 25 slides and attractions and is the city’s most shaded and misted water park. Paradise Falls is the interactive children’s area with kid-friendly slides and a giant dumping bucket. Children will also enjoy the Colorado Cooler lazy river and Red Rock Bay wave pool. 702-979-1600. www.wetnwildlasvegas.com. Motley Brews, the creators of Great Vegas Beer Festival, will present the inaugural “Hopped Taco Throwdown,” which will be a heated taco competition and craft beer tasting by local and regional breweries being held in the Backyard at Zappos downtown from 8–11 p.m. on Saturday, Aug.12. Chefs representing some of Las Vegas’ top restaurants will vie with their innovative creations for top taco honors. This boutique event will be limited to 1,200 attendees. Tickets are $50 and VIP $70. 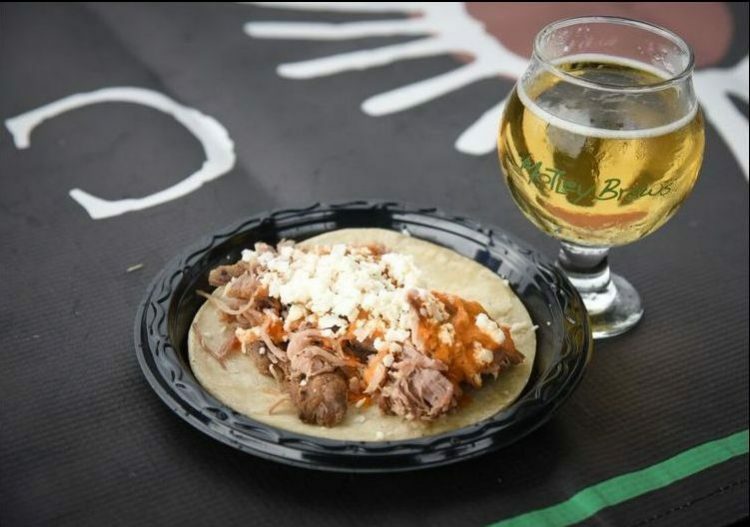 Tacos will be judged in three categories, including: Hopped Taco, for best-beer-infused taco; Taco Loco, for most creative taco; and Taco Dulce, for best dessert taco. Participating restaurants include Buddy V’s, Stack Restaurant & Bar, Searsucker, Herringbone, Fix Restaurant & Bar, Citizens Kitchen and Bar, Tacos and Beer, and more. Breweries include local favorites such as Crafthaus, Big Dog’s, Lovelady, and Bad Beat, as well as several regional breweries. 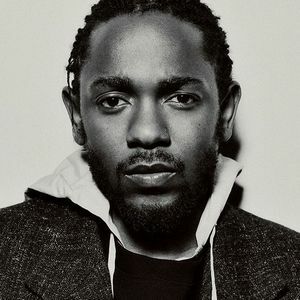 Seven-time Grammy winning hip-hop Renaissance man, Kendrick Lamar, is making a stop with his “The DAMN. Tour” featuring special guests Travis Scott and D.R.A.M. at T-Mobile Arena Saturday, Aug. 5 at 9 p.m. “The DAMN. Tour” follows an appearance at Coachella and the release of his fourth studio album, “DAMN.” with a debut at No. 1 on the Billboard 200, marking his third time at the top spot. Tickets range in price from $49.50 to $129.50. The completely original new musical “Something Rotten!,” directed and choreographed by Tony Award winner Casey Nicholaw of “The Book of Mormon” and “Aladdin” fame, will visit The Smith Center Aug. 8-13. 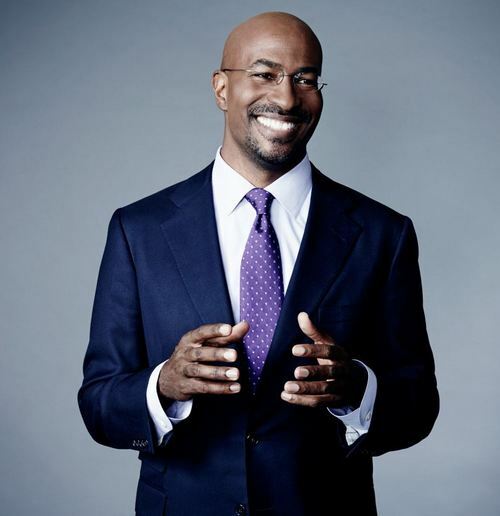 Renowned activist, CNN commentator and two-time New York Times bestselling author Van Jones will bring the “We Rise Tour” powered by #LoveArmy to the Pearl Concert Theater inside the Palms on Saturday, Aug. 19 at 8 p.m. Ticket range is $25-$75. We Rise is bringing an array of artists, athletes, leaders and local officials to cities across the country this summer. Focusing on commonalities as opposed to the country’s differences, We Rise explores how to increase dialogue and engagement. Attendees are given the opportunity to connect, ask questions and participate during the program. In 2009, Van worked as the ‘green jobs’ advisor to the Obama White House, where he helped run the interagency process that oversaw $80 billion in green energy recovery spending.